Formed in 1988, we started life as a SCADA and Control & Monitoring systems business and we continue to deliver successful projects in that area. We have grown and evolved to now provide and support all aspects of projects in infrastructure systems integration. We create, deliver and support High Integrity Infrastructure Control System solutions ranging from upgrades and refurbishments through standalone sub systems to fully integrated turnkey system solutions covering all plant from the control room to the field sensor devices. With our wide-ranging systems expertise we can take a holistic view on project implementation, which can enable a substantial reduction in timescale, cost and risk for all involved. Taking part from the start we can save you time materials and cost long before work commences. 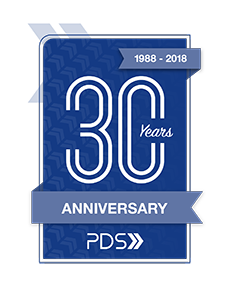 At PDS we can offer a full service response from our in house team and partners, it is our plan to be able to support you from concept through design and implementation to training support and finally into obsolescence management. We believe that by working together we can achieve more. Our commitment to BS11000 for Collaboration is a testament to that. Our mission statement is to use our proven expertise to safely and sustainably deliver resilient solutions, working in collaboration with our clients’ partners and supply chain.